Bundesliga | Werder Bremen's American starlet Josh Sargent: "I feel like I belong here"
Josh Sargent signed professional terms with Werder Bremen on his 18th birthday in February. 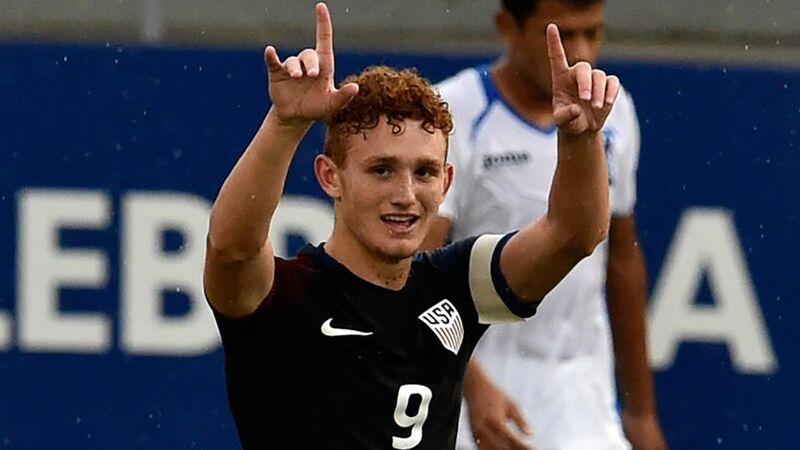 Werder Bremen's American starlet Josh Sargent: "I feel like I belong here"
Fresh from signing his first professional contract on his 18th birthday recently, American striker Josh Sargent is enjoying life in Germany and is raring to go at Werder Bremen. Speaking exclusively to bundesliga.com, the O'Fallon, Missouri native opened up on his whirlwind past 12 months and his excitement at joining Bremen. "I'm just really looking forward to it and I mean it's gonna be a great time here. I love this club so I'm looking forward to try to make my mark in my professional career." "I visited all these clubs and they're all great. But I think the one thing that separated Bremen from all these other clubs was that it felt like home when I was here, and I mean it's that gut feeling you have when you're here. I feel like I belong here so that's what I felt and I'm excited to see what happens." "I can tell there's a sense of family throughout this whole community. I mean I've heard about Werder and how, whether they have a good game or a bad game, the fans are always supporting them. That's honestly a great feeling coming here, as I know I won’t be looked down on if I have a bad game or something so it means a lot to me. It's awesome." "It's been a crazy year for me. I was the first player to go to a U17, U20 and first-team camp in the same year so it's all been going by really fast, it's been a great experience." "I'd say there's a little bit of pressure on me as people know that I'm a rising star, you can say, but I try not to really focus on that. I just try to play my game and work hard. "I think the biggest thing for me is that I hate losing. I cannot lose. I'm the most competitive guy you can find, whether it's playing ping-pong or anything. I just don't want to lose so I think that's a big part of it and also I love working hard. I think it's huge for team-mates to see that you're going to give it your all day in and day out doing whatever you can to help the team win." "Ever since I was a little kid I wanted to come and play in Europe because you can tell it's the way of life over here. And people love it everywhere and it will determine their mood for the rest of the week. So that's all I've really wanted, to be in a place where everybody breathes, eats, sleeps soccer... football, football!"